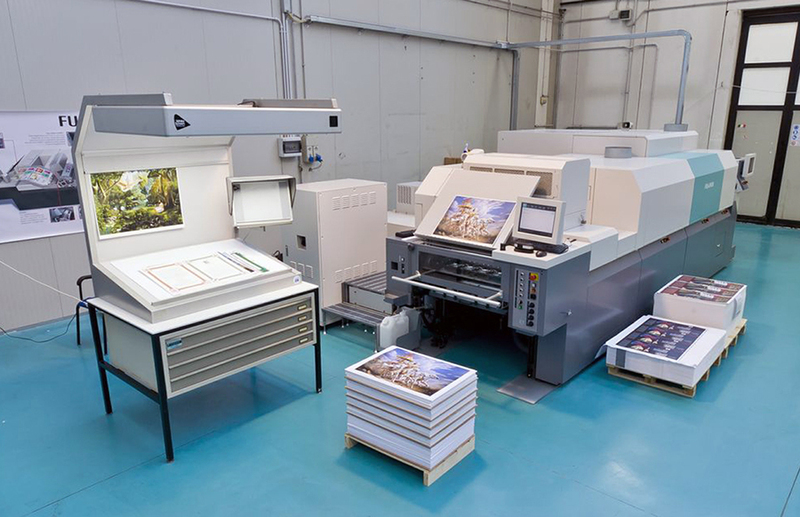 FAService , a high quality finishing specialist, was delighted to bring digital printing in house with the installation of the first Jet Press 720 installation in Italy. Mr. Renzo Farinati created FAService in 1997 in Buon Albergo (Verona). Today, the company employs about 20 members of staff. In 2004, the company took a new direction, focusing on high quality finishing and on a wide range of finishing techniques. Varnishing, laminating, embossing, glittering and metallic effects obtained through screen printing, are just a few of its specialities. 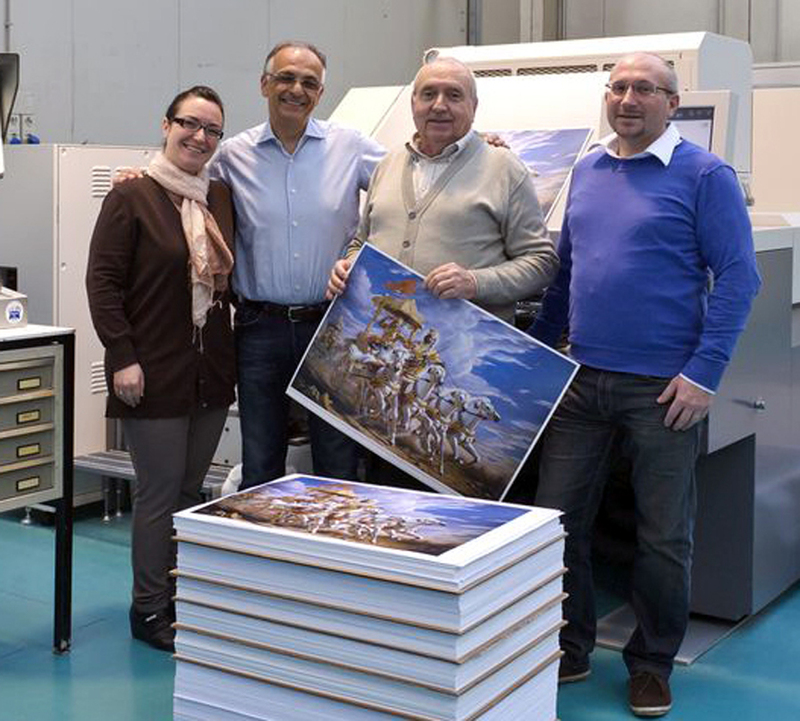 With this in mind, the Jet Press 720 attracted FAService’s interest “The Jet Press 720 is the first printing machine we have installed in our company with the objective of combining finishing with printing services,” explains Mr. Farinati. 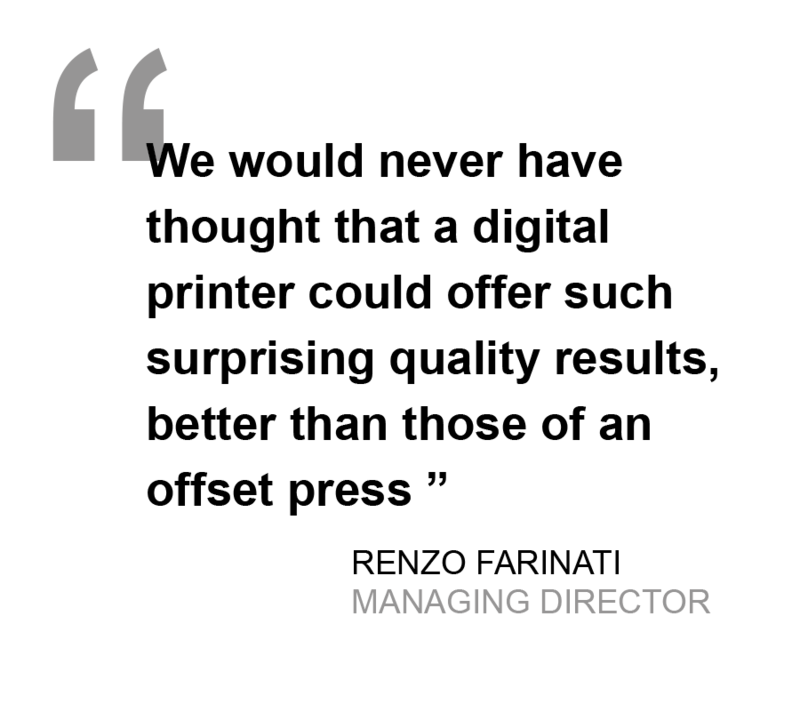 “We work primarily with printers and publishers and in recent years we have witnessed a consistent reduction in print runs, as well as a subsequent difficulty for many vendors to manage their work in a profitable way through traditional technologies. In addition, we have experienced a growing demand for innovative and customised short run applications. Following this trend, we’ve recognised a business opportunity to transform FAService into an end-to-end service provider able to offer limited edition printing and finishing applications,” he adds. The Jet Press 720 is an inkjet printer capable of printing in full colour, and in a single pass, a B2 size sheet (720×520 mm printable area, 750×530 mm paper format), with a speed up to 2,700 sheets per hour. The Jet Press 720 uses SAMBA printing heads that reach 1200×1200 dpi resolution with a 2 picolitre drop size, raising quality standards achievable through digital printing systems. What’s more, the Jet Press 720 is capable of printing on many standard offset coated and uncoated papers, by applying a primer to the sheet. After printing, the sheet can be treated in the same way as a normal offset sheet and then finished to have any desired special effects applied. “Thanks to the Jet Press 720, we plan to grow our range of services and our potential customer base. Next to printers and publishers, who today we can offer convenient and innovative solutions for reprints and limited editions, we believe we have what it takes to stimulate the interest of end users and companies operating in a variety of industries,” explains Mr. Farinati.